Welcome to the fourth update of the 30 Day Minimalist Decluttering Challenge! I’m so excited you could join me on this journey! I cannot believe we are getting close to the end of this challenge. I created this challenge to take my minimalist journey to the level I believed I was ready for, and so far, I have been extremely pleased with the results! This week has probably been my favorite thus far! So without further ado, here is my daily updates for days 21-27! I hope you enjoy it! Now that my husband and I have purchased a decent amount of land, I love going for walks. It’s crazy to think about how we have woods to walk through with two creeks that flow throughout it. It’s so peaceful to come home from work, and admire God’s creation. No matter the day I’ve had [and today was a crazy day], I am always able to let it go and enjoy the rest of my day with simply taking a walk. 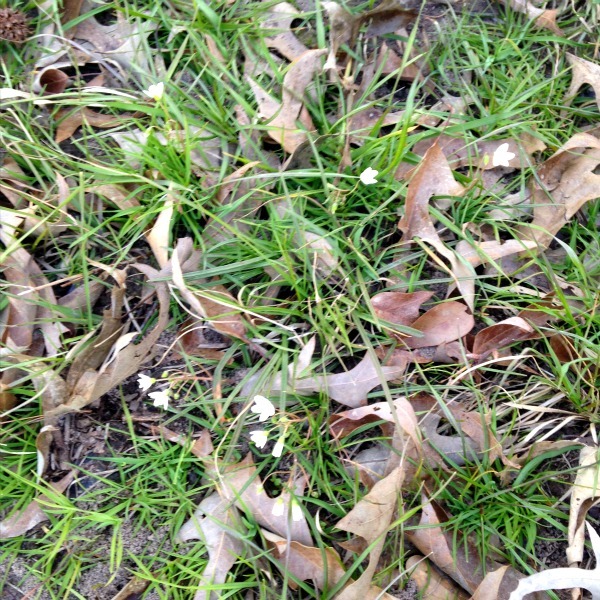 I even found some spring flowers on my walk! 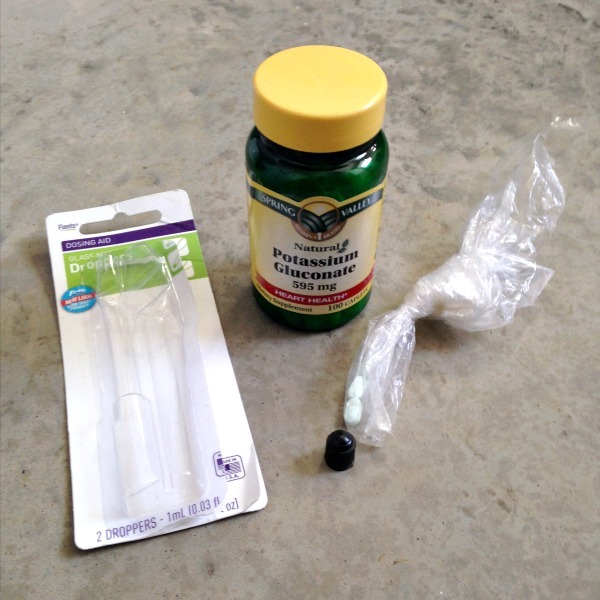 I didn’t have much to declutter from my medicine basket, but I did find a couple of things to toss. I had some expired Potassium and the rest is trash. My least favorite day of this entire challenge…. I started with a laundry basket and 2 boxes full of paperwork and mail. For some that may not seem like much, but for me it was a task! I despise paperwork and organizing it. However, I was successful at downsizing to only needing half of the laundry basket for paperwork I have to keep. I have been able to toss a FULL sack of paperwork and two boxes! I was thinking what I was going to keep all of this in, because it isn’t staying in the laundry basket. Then I got the bright idea of using my wooden basket that I had a plant sitting in before I redid some of the decor in my home. Now I have a cute and function system! I love my basket, but it wasn’t working with the plant, so I am glad I can use it somewhere! Today was nice, I sat back and relaxed. I enjoyed a nice glass of wine and a few episodes of ‘Gilmore Girls’. I was able to unwind from my day, and slept great! While I can’t do this every night, I have decided to allow myself a “Guilty Pleasure Night” once every two weeks or so. Boy do I like being reminded of the “I will get to it one day” projects! I have so many different things I have really wanted to do, but haven’t made them a priority. 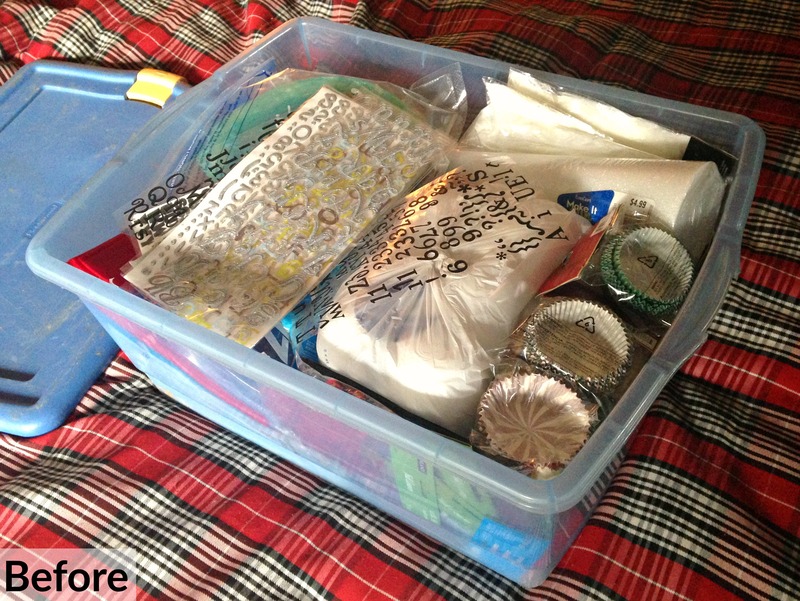 Even though you only see one storage box full of crafts, it hasn’t always been this way. I used to have a room full of crafts that I would get to one day, but when we moved out of our old house things changed. I had to make a decision for everything, so now all that is left is this one box. Most of the things in here are Christmas projects I had wanted to do, but never took the time to do. Time for an honest discussion with myself. What am I actually going to do with all of this? Am I really going to do these projects? After this discussion, here is what’s left! Only 5 items!! Now, I feel so much better! 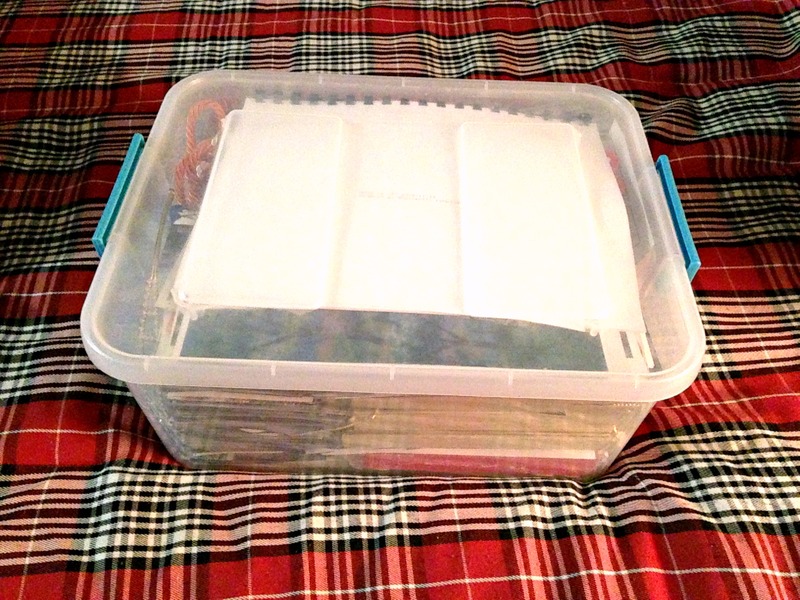 I have a storage box I can use for legitimate storage needs! I found some cupcake cups I forgot I had that I will definitely put to use! The other thing I pulled from this box is vanilla wax fragrance pieces. One year for Mother’s Day I made candles, I stored the leftovers and forgot about these fragrance pieces. I decided to use them in my warmers when a wax lost its smell. Great way to get use out of something forgotten, but still serves a purpose. 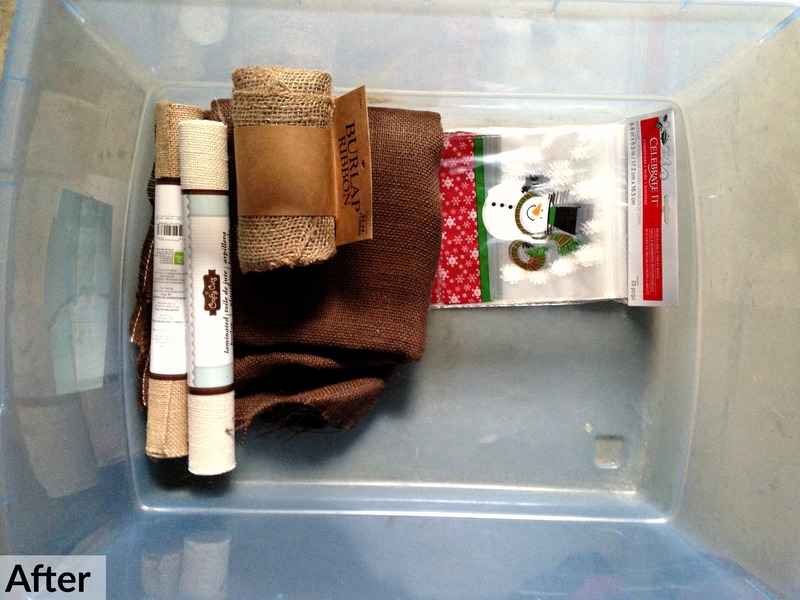 The only things I kept in the box are some burlap I use for decorating and crafts, and some Christmas goody bags. The burlap is material I always need, so it stays. The goody bags will be used next Christmas for cookies and other treats. 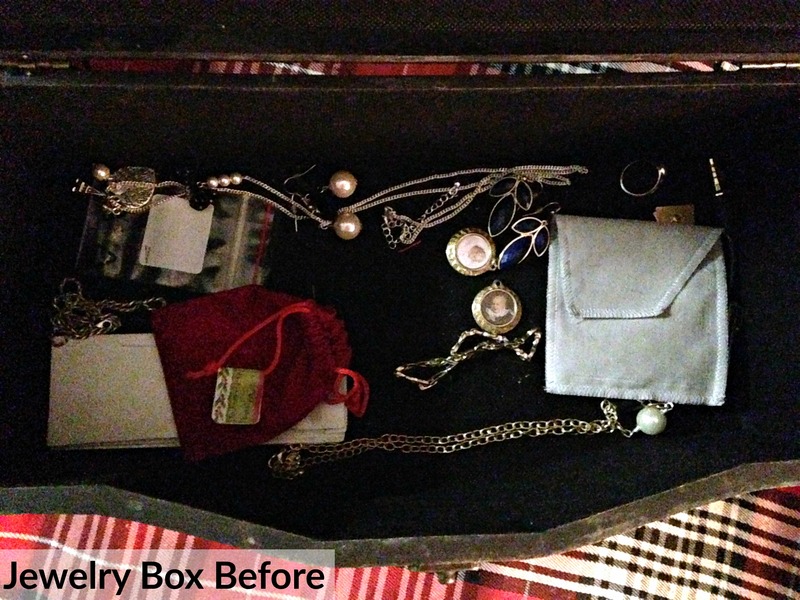 I did decide to store my Winter Decor in this box, so that I am making every bit of space count. 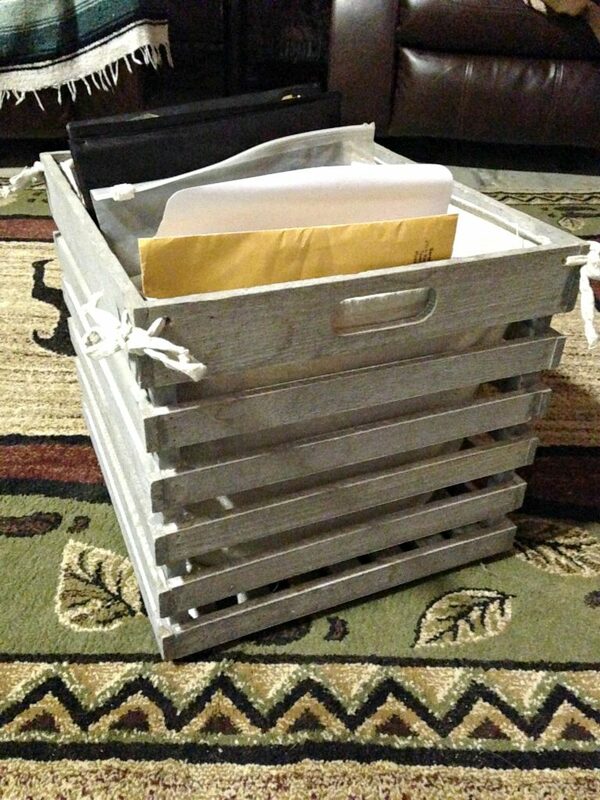 This box will be stored in a convenient location, so access to the burlap pieces will be easily accessible. 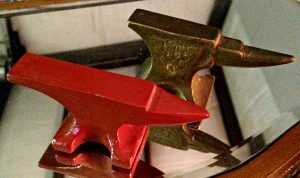 I have recently decluttered my keepsakes; however, there are a few things I have found along the way that need to be consolidated with my keepsake box. My rule for keepsakes is one box. If it doesn’t fit, it doesn’t stay. This may sound harsh, but it is the only way I can keep myself in control of my emotions to these objects. 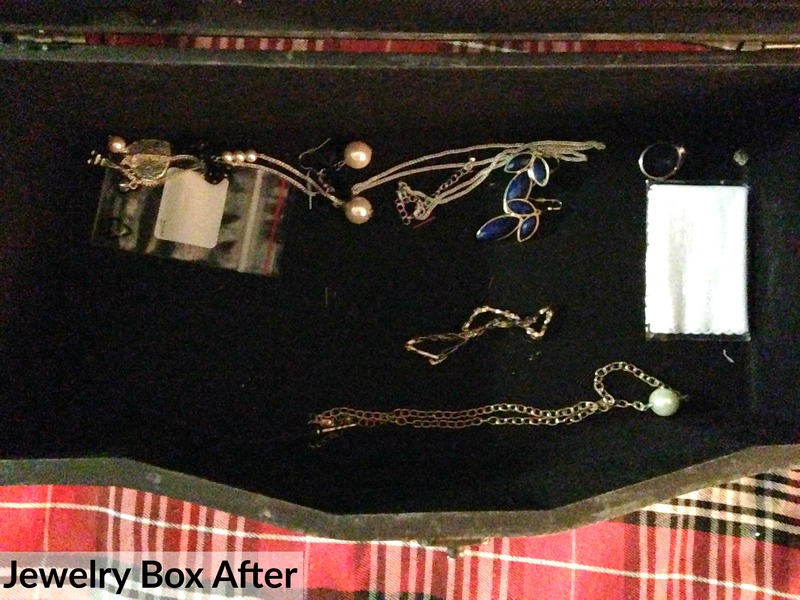 This is my before and after of my jewelry box. I kept several keepsakes in this box, but they needed to be moved to my keepsake box. With so little left, I decided to downsize the space my jewelry is given. I had a cosmetic bag I was using for hair clips, but didn’t really have to, for this step. As you can see below, this is a huge difference in real estate my jewelry has. I haven’t decided what to do with my jewelry box. 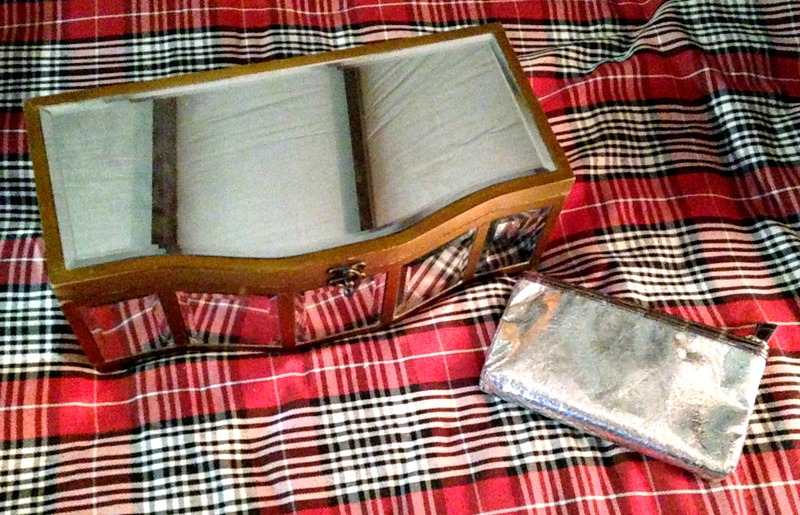 I am not sure if I will let go of my jewelry box or find another purpose for it. What would you use it for besides a jewelry box? 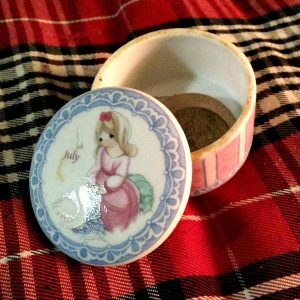 Some other keepsakes I added in addition to what was in my jewelry box are a porcelain coin box and miniature anvils I acquired after my grandfather passed a few years ago. Now I have some free space, and my important keepsakes are safe in one place! As I think about my priorities, I wonder what really matters right here, right now. 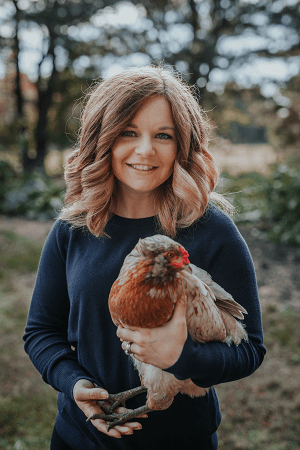 Is it friends, my husband, work, blogging, gardening, my dogs, farm animals, becoming debt free? My mind is easily boggled with all of these things to think about. I understand my husband is my priority, but what comes after him? I decided my priorities aren’t necessarily where I am going to find my answer. It’s looking at what isn’t important that I am going to find these answers. So what isn’t as important? Well, my husband and I want to get our farm animals as soon as possible; however, getting our garden planted will come before we can get animals. Next, I think of my college class. Now I know your eyes just got huge and the word “WHAT? !” just came out of your mouth, but hear me. While becoming debt free is very important to me, I have mentioned how I need new tires for my car. The tires definitely trump paying off debt quicker. To sum this exercise up, I looked at my apples and decided between the two options. With a lot on my plate, remembering to put my husband and fur babies before anything on that plate, I can only win! I believe this week has been the most eye opening of any week I have had so far. I am really happy with my accomplishments, and I am ready to finish up this challenge strong! Nothing is going to hold me back from accomplishing my goals! Total Items Removed During Challenge: 121! One Thing I Learned: Be present in the moment. Enjoy it. Savor it. Find peace with it, and be happy. I’m not sure how next week will go yet. I don’t feel it will be hard, but it will be bittersweet. To see how far I have come, and to see it end is going to be full of emotions. I can’t wait to see how it ends, and I hope you will follow me as I finish out this 30 day challenge. How did your fourth week go? What was your favorite/least favorite days? What are your most and least excited for next week? How do you feel now that the challenge is almost completed? Are you close to your goals? 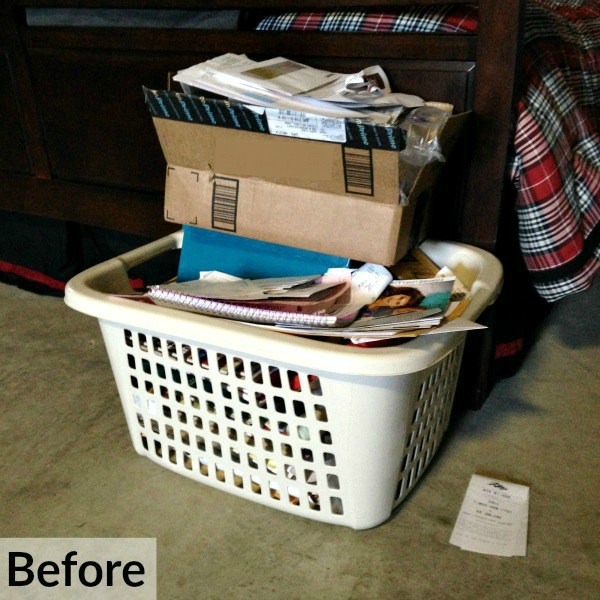 I’ve seen a lot of “decluttering” ideas floating around these days, but they seem too daunting to me! I love my stuff! I think I may try to organize my craft stuff like you did to get a start! I totally get that Sheri! I believe it is important to challenge your limits on what can be let go of, but not so far that you regret the process. There is a balance there and it is different for everyone. I struggle with anxiety, so for me, it has become a lot easier to let things go and move onto the next exercise. I believe the biggest tip if you want to declutter is to just start. Big or small doesn’t matter. The act of starting is what does matter. Good luck and please share with me how decluttering your crafts go! I would love to hear about it! Thank you! It has definitely been en exciting and very rewarding challenge! I think everyone should try it once, even if you aren’t striving to become a minimalist! I love a good purge. I like how you did it by sections of the house that tend to a cumulate the most clutter. Now I need to go clean out my kids’ craft tubs! Thank you! I found decluttering by category will benefit the process more than choosing an area. As you can see with my keepsakes for example. I had them in several locations and wouldn’t have consolidated them if it wasn’t for looking at keepsakes as a whole. Kids things would have definitely been on the list; however, I don’t have children just yet. Let me know how it goes and good luck! I love capsule wardrobes! I’ll have to check out your blog! I have recently posted about mine, and plan to show it on my blog later this week! I’m hoping once I finish this challenge I will be finished with decluttering and be able to keep things tidy from now on. This reminded me of needing to clean out my medicine cabinet! I’m sure I’ll find all kinds of things I need to throw away. I was surprised that I still had things to get rid of in mine! I go through it every few months, but I always find expired medicine and trash! haha! Well done, you seem to be doing great! Clutter free is so much better! Thank you! Yes, I definitely agree! Wow, great job! I just love the feeling of getting rid of extra stuff. The house feels bigger and less cluttered even if I cleared out things that weren’t in anyone’s way. Thank you! I love the feeling, too! Plus, it helps keeps my anxiety levels lower! This is an awesome way to tackle certain projects every single day so that you’re not overwhelmed during the process! I’ve been working on my room and closet for the last few weeks! 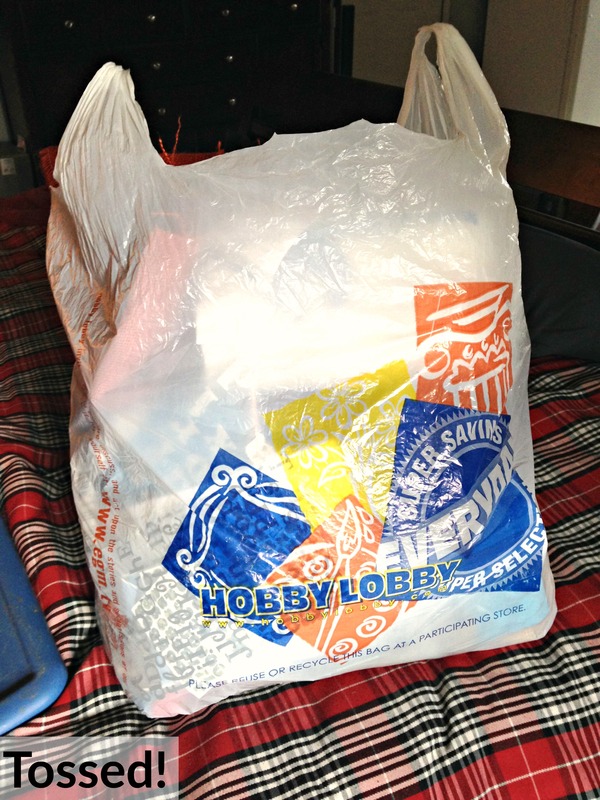 Every time I purchase something new, I get rid of two old items from my closet. I’ve been going through everything several times to really cleanse my closet–it definitely needs it! Thanks for sharing this! Absolutely! 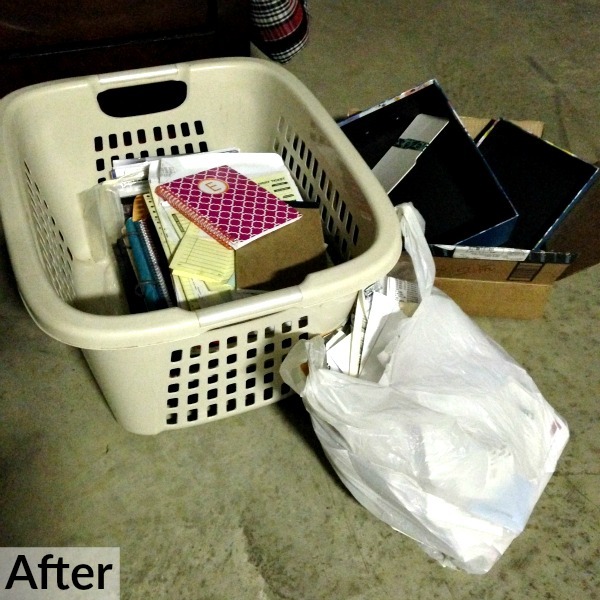 Decluttering can definitely become overwhelming quickly! I believe that’s why I tossed so much of my crafts. I just didn’t want to think about it anymore. Also, I think that is a great way to handle your wardrobe. I have a tendency to toss it as I grow tired of it, so it’s easy for me to keep it small. My friend also loves it when I do, because she’s always the first to grab up whatever I cull. Thank you! I actually created this challenge. I wanted something to challenge the physical clutter as well as the mental clutter. I couldn’t find a challenge that had both, so I made one! Let me know what you think of the others, and if you decide to participate please use #30DMDC so I can keep up with you! I sit here reading this after just going through my closet and I’m motivated to purge and clean even more things! Ugh, it just feels so good! That’s awesome! I’m glad I was able to help motivate you! That’s great to hear! I’m so glad I could help! Such a lovely post! I should definitely do this to my closet. Hah. Thank you! I have another article on Capsule Wardrobes if you would like to look in it. It isn’t for everyone, but I personally love it! Ugh! Paperwork! I totally understand! I can’t stand it! 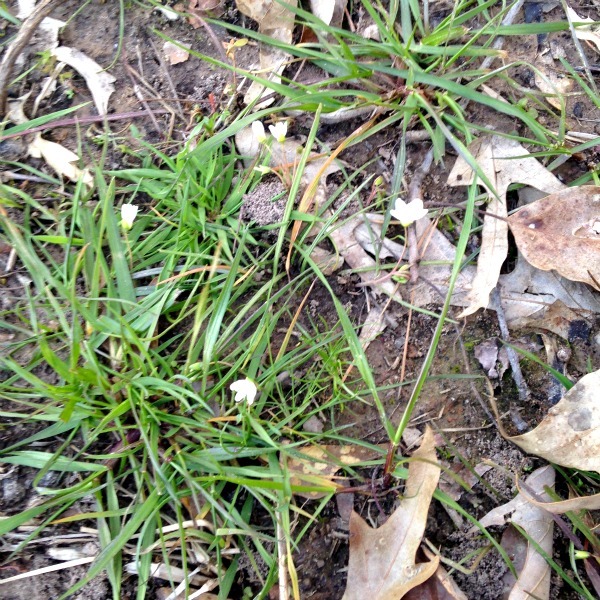 I love the spring flowers too! They always light up my day when they arrive in the spring! What a great challenge, I totally agree, sometimes what is my top priority isn’t always what I can realistically achieve first. Good luck in that science class! Thank you! I definitely need all the luck I can get! Thank you Binja! It hasn’t been easy, but so worth it! That’s great! I can’t wait to see how it goes for you!